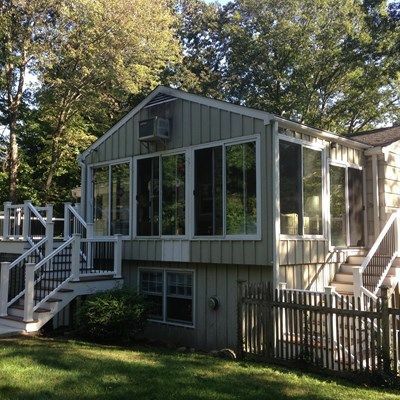 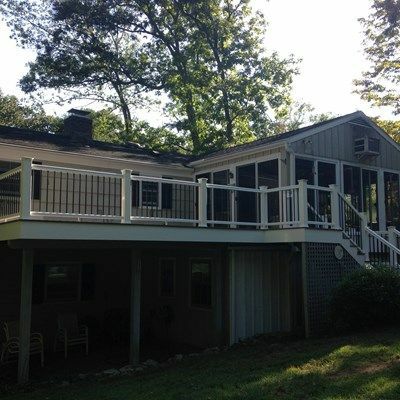 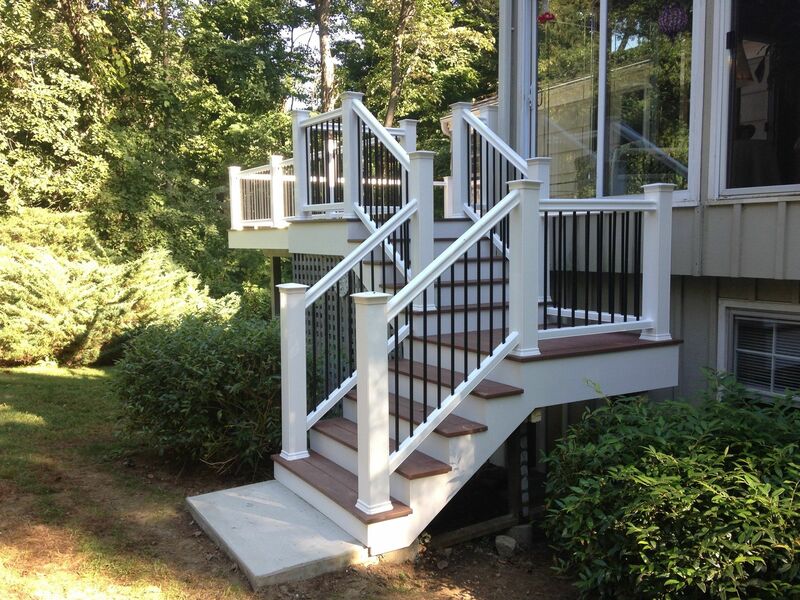 This beautiful decking and railing replacement project wrapped earlier this week. 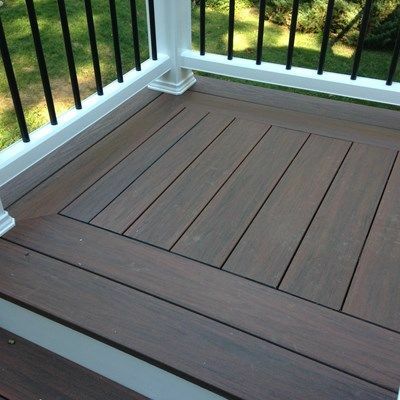 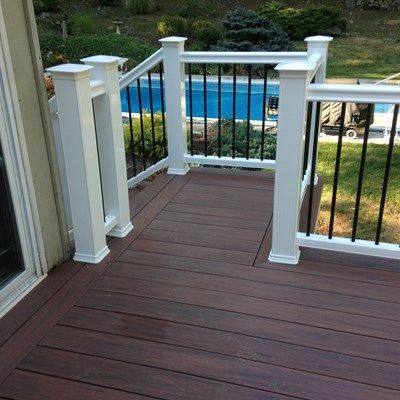 The decking is WOLF PVC decking in Rosewood color and the railings are Timbertech Radiance Rail with round aluminum balusters. 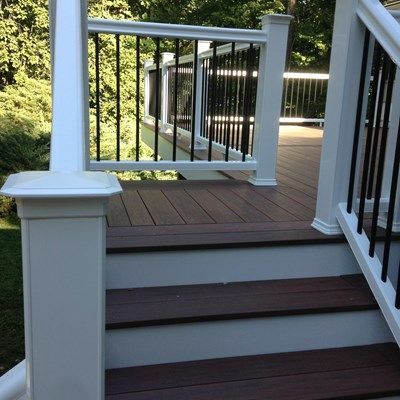 The round balusters provide very nice visibility, and the double picture frame border throughout the deck and the Azek white PVC trim are very nice touches!